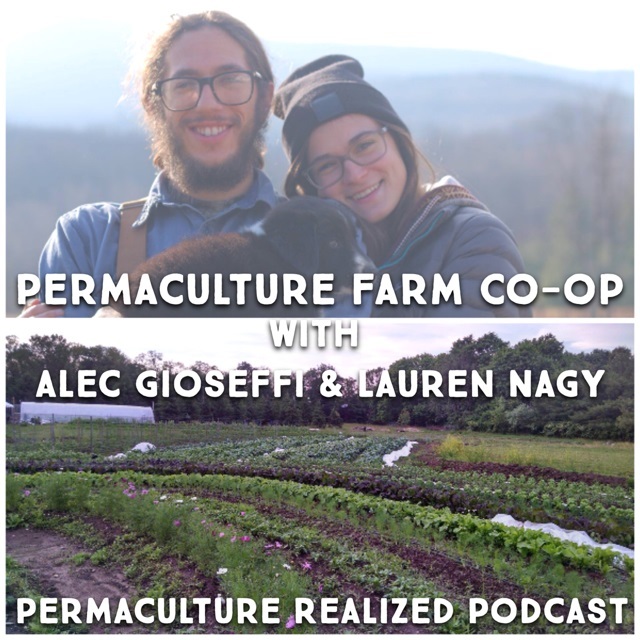 Today’s guests Alec Gioseffi and Lauren Nagy run the CSA Farm Cooperative 518 in Princeton, New Jersey. They provide nourishing food to the local community using permaculture farming practices. The farm is home to chickens, cats, sheep, pigs, nine humans, veggies, herbs, flowers, a small upcycled greenhouse, a large seasonal hoop house, and two tiny homes. Stay tuned to hear the story of how they got their start, what’s happening on the farm today, and where they envision it going in the future. If you have any reflections on this, or on the interview with Alec and Lauren, feel free to drop us a comment below. Thanks for listening, stay tuned to the Permaculture Realized Podcast.